The Henkei exclusive figure for the Millions Publishing’s Transformers Generations 2009 Vol 2 Book just arrived to Toywiz Malaysia now! 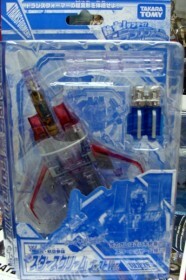 This Henkei Ghost Starscream is truly a collectible item for Transformers fans, especially the Henkei collectors! Item in stock now at Toywiz Malaysia, limited quantities only. what is the price for this? still available?